Have A Question For Frankie? 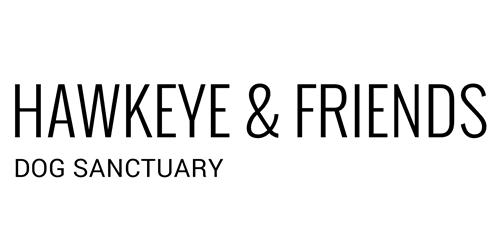 Hawkeye & Friends is a non-profit dog sanctuary that saves and cares for the dogs nobody wants – the ones who are old, older, have a handicap, medical problem or behavior issue. These are the dogs most people don’t want, the ones passed up for adoption, the dogs most rescues won’t take because they are too hard to adopt. These are the dogs who usually end up at county shelters and are euthanized. But with just a little TLC the dogs who come here spend the rest of their lives here and receive lots of love & attention, plenty of good food in their bowls and have lots of room to run & play & wrestle or just kick back and relax. The dogs are not kept in cages or kennels but instead are free to go in & out as they please into big fenced yards. This is their home - their forever home. Hawkeye & Friends survives solely on donations from people who love animals, especially dogs, as much as we do. Hawkeye & Friends is a registered 501 (c)(3) so all donations are tax-deductible. Donations help care for the dogs currently here and will help continue the never-ending mission of saving and caring for so many wonderful dogs.